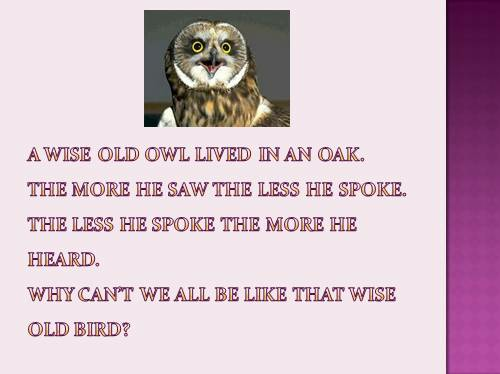 A wise old owl lived in an oak.The more he saw the less he spoke.The less he spoke the more he heard.Why can’t we all be like that wise old bird? 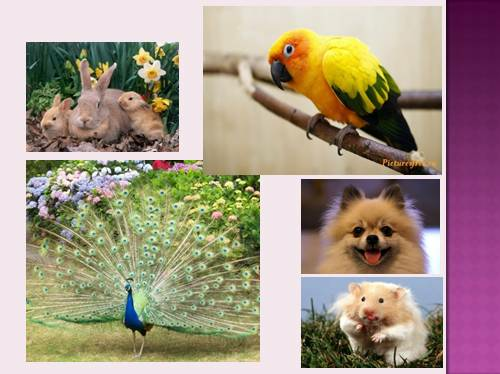 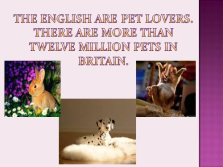 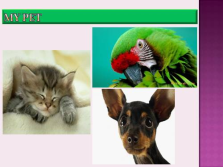 The English are pet lovers.There are more than twelve million pets in Britain. 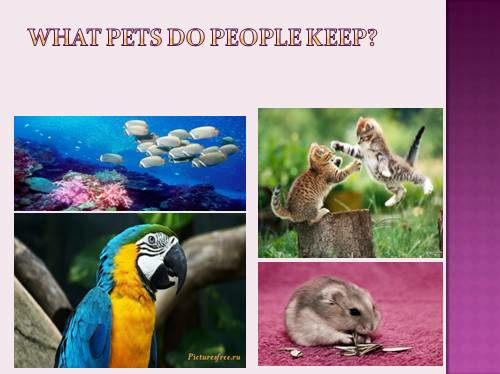 What pets do people keep? 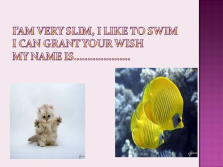 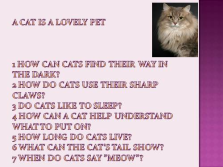 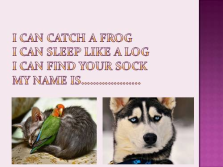 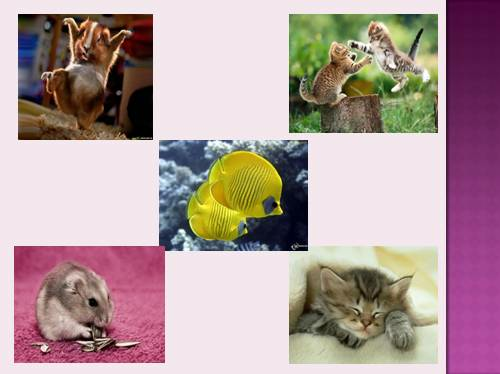 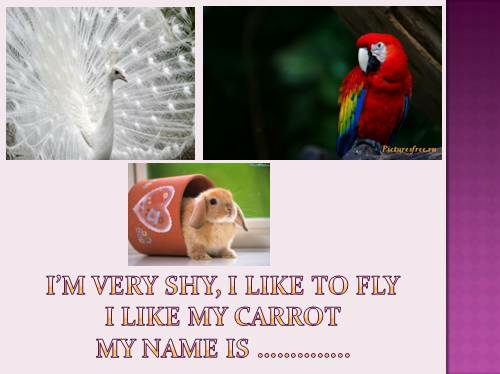 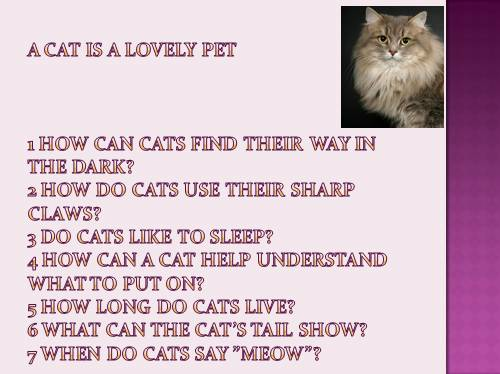 I can catch a frogI can sleep like a logI can find your sockMy name is………………..
I’m very shy, I like to flyI like my carrotMy name is …………..
A cat is a lovely pet1 How can cats find their way in the dark?2 how do cats use their sharp claws?3 Do cats like to sleep?4 How can a cat help understand what to put on?5 how long do cats live?6 What can the cat’s tail show?7 When do cats say ”meow”? 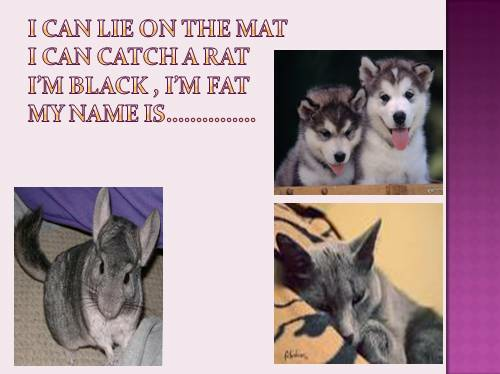 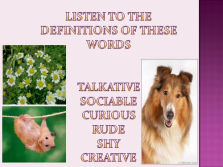 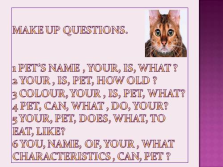 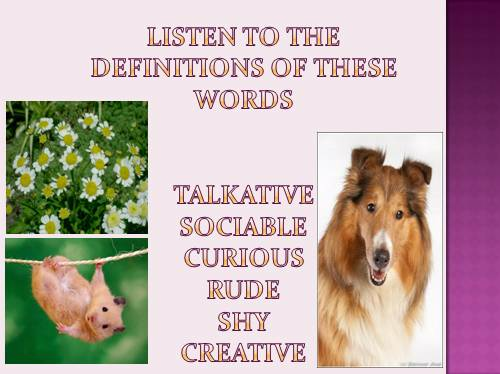 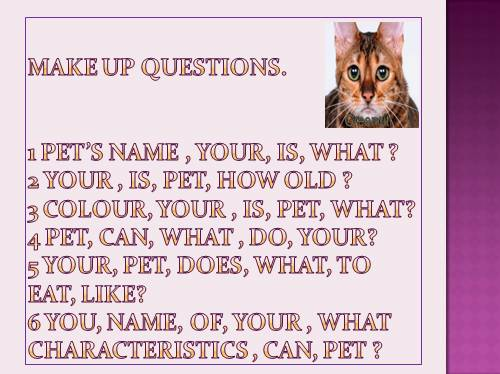 Make up questions.1 pet’s name , your, is, What ?2 your , is, pet, how old ?3 colour, your , is, pet, what?4 pet, can, what , do, your?5 your, pet, does, what, to eat, like?6 you, name, of, your , whatcharacteristics , can, pet ? 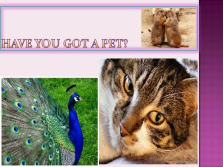 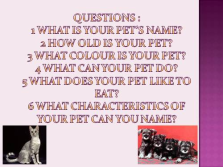 Questions :1 What is your pet’s name?2 How old is your pet?3 What colour is your pet?4 What can your pet do?5 What does your pet like to eat?6 What characteristics of your pet can you name? 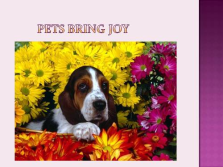 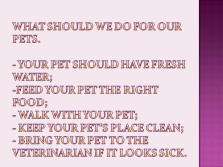 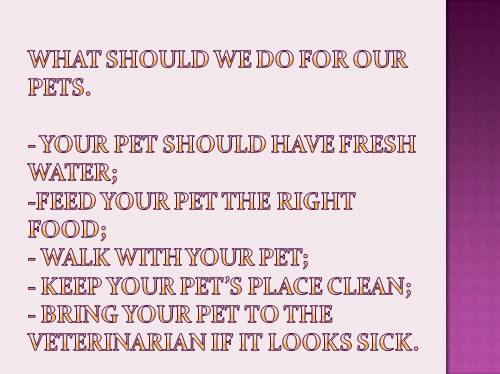 What should we do for our pets.- your pet should have fresh water;-feed your pet the right food;- walk with your pet;- keep your pet’s place clean;- bring your pet to the veterinarian if it looks sick. 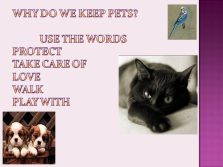 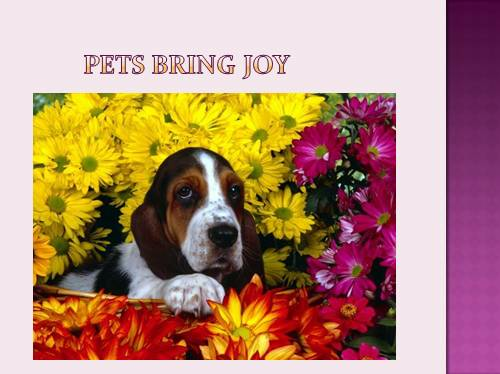 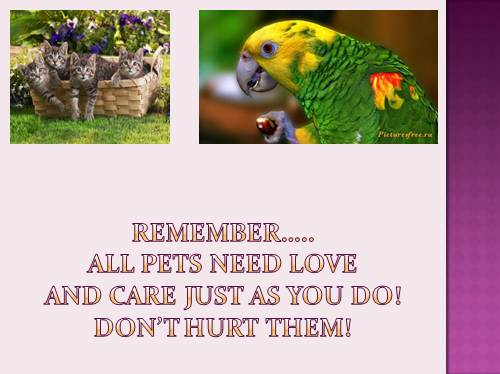 Remember…..All pets need loveand care just as you do!Don’t hurt them!